The blues and jazz showcase will take over Yoshi's on January 20. "I'm always expanding my musical ideas": Mark Hummel on his harmonica showcases and tours. 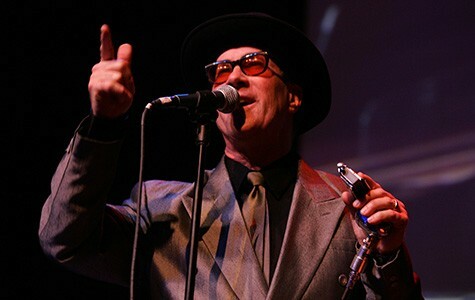 Mark Hummel's Ultimate Harmonica Blowout, Friday, January 20, at Yoshi's, 510 Embarcadero West, Oakland. 8 p.m. $27 - $59. 510- 238-9200 Yoshis.com. 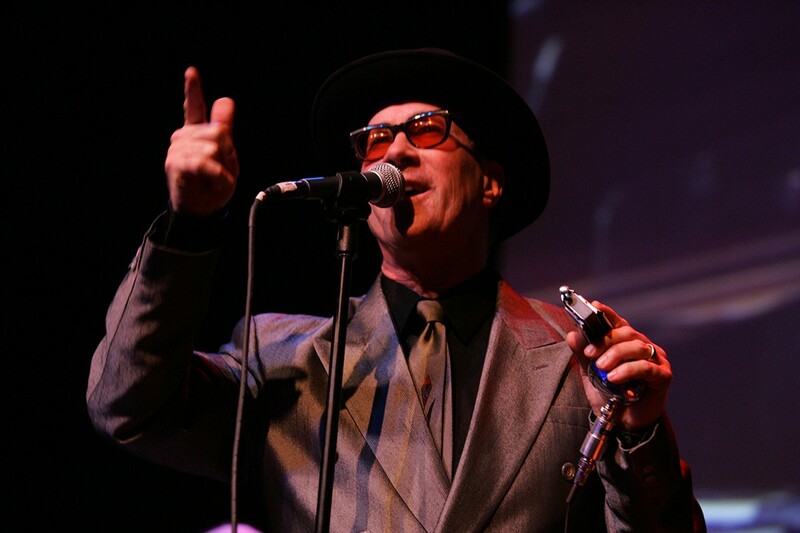 Harmonica player, songwriter, and bandleader Mark Hummel helped revitalize the East Bay blues scene in 1991, when he staged his first all-star Blues Harmonica Blowout at Berkeley's Ashkenaz. "We had about 200 people show up for the first event," Hummel recalls. "You never heard much blues harp on the radio back then, except maybe Blues Traveler — who weren't exactly blues." Hummel made his reputation as a roots harmonica player, but he's always loved jazz. "I listened to jazz when I started playing, and I've grown to love it more each year since. I listen to jazz and blues in equal amounts these days. I wouldn't say I'm a jazz harmonica player yet, but it's something I aspire to." That love of jazz will be reflected on the bandstand at Yoshi's this Friday, the 26th annual edition of the gig. Hummel is billing the show as The Ultimate Harmonica Blowout. It temporarily abandons his acoustic approach, and features electric guitars and an exploration of the jazz and rock aspects of the blues. The lineup includes iconic players who have spent their lives expanding the harmonica's vocabulary. Corky Siegel, founder of the Siegel-Schwall Band, was one of the first to merge classical music with jazz and the blues. Howard Levy, who uses overblows to play in every key on one diatonic harp, is one of most exciting harp players around. "When I first heard Levy, I felt supremely inadequate," Hummel says. "He can find every note in the scale on one harp." Jason Ricci has been studying Levy's style for years and fronts his own blues/rock band. And Son of Dave is the evening's wild card: He's a one-man band and plays harp, drums, and percussion in a primitive style that harkens back to the music's roots in the Mississippi delta. Hummel is rounding out the lineup with Duke Robillard, founder of the blues-rock giants Roomful of Blues, on electric guitar, and Chris Burns of the California Honeydrops on keys. "I wanted to put together a show for jazz fans and modern harp freaks," Hummel says. "After 26 years of Blowouts, I needed a break from the strictly traditional shows." Like previous outings, this show will be a cooperative venture. He communicated via email with all the musicians, and told everyone to pick out four tunes, skewing in a jazzier direction. "We'll get together at my house to rehearse for the first time the day before the Yoshi's show," he admits. "We may have to simplify things a bit, but everyone's an experienced bandleader. We all know how to make it work. The four harmonic players each get three or four tunes per show, then there's a grand finale." The Blowout has grown in popularity over the years, and even has gone international, with performances in Norway and Canada. Headliners have included John Mayall, Charlie Musselwhite, James Cotton, Kenny Neal, Lee Oskar, and dozens more. "I've had every harmonica player that's still around on stage. I still aim for an eclectic show, mixing older and younger players, Black and white," Hummel explains. Hummel, who grew up in East LA, was one of the few white kids in his neighborhood. "My dad had a church in the Black community, so my babysitters played Black music on the radio — R&B, blues, soul, any music you could dance to," he recalled. It made a major imprint. For instance, while in high school, he loved psychedelic rock, but he also kept seeing names like Muddy Waters, Willie Dixon, and Howlin' Wolf on his rock albums. And that got him curious. "When I heard them, at 15, I stopped listening to rock," he said of that pivotal moment. "Then I heard 'Juke' by Little Walter and got hooked on blues harp. I stank on guitar, but nobody I knew played harp, so I got some older guys to give me lessons and never looked back." After high school, Hummel hitched around the country, looking for a city with vibrant music scene. He landed in Berkeley and worked full-time, while playing nights and weekends in blues bands. He turned pro with the Blues Survivors, in 1981, and he's been on the road ever since. "I'm the booker, road manager, bandleader, publicist and harmonica player. I wear a lot of hats, but I work well with others. And I'm always expanding my musical ideas."